Use this to avoid the long, slow paddle to the dock! Sit and listen to the radio, run your lights, operate any electrical accessory, all while you enjoy boating without experiencing all of the dangers associated with a dead battery. Even if you leave a light or radio on when you leave your boat at the dock, no worries! By monitoring the battery's voltage at all times when the key is in the off position, the unit senses if a drain is taking place that would deplete the battery's starting power. 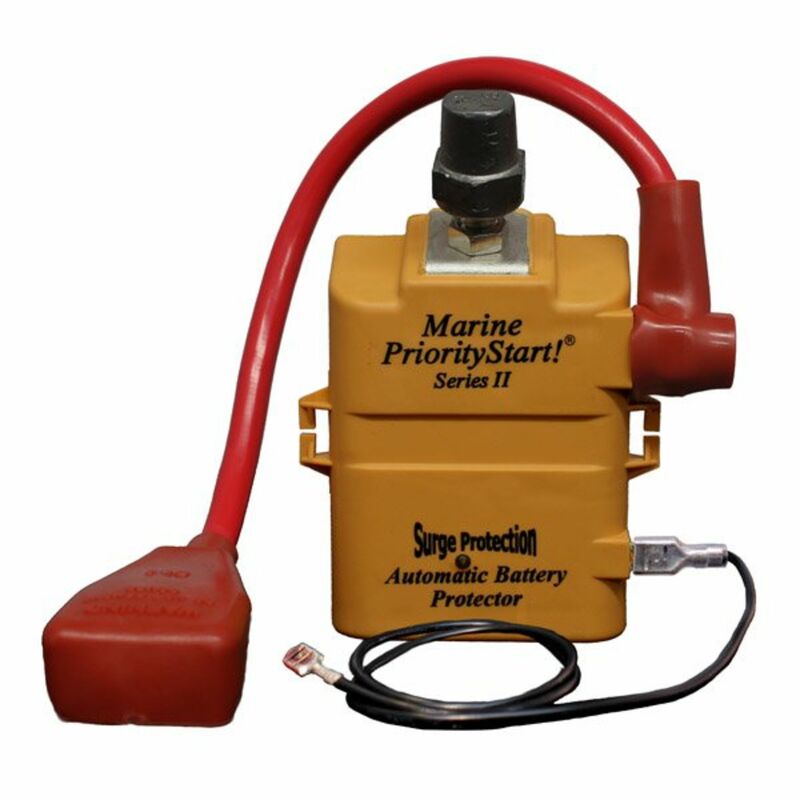 It shuts it down, saving your battery's voltage, and allowing you to start your boat. The result? No dead battery. You have minimized the dangers, lost time and costs associated with a dead battery. Deep discharging a battery means that you have already done damage to your it, and jump starting can then cause irreparable damage to your electrical system. The Solution? The PriorityStart! 12-Volt Marine maximizes your battery life, your time and your dollars spent. Because there is no hard wiring, the unit is transferable. Waterproof system (hermetically sealed) are specially designed for all marine environments. The maintenance-free and universal design works on all standard or wing nut - post battery's. Handles 1,000 starting amps and exerts a clamping force in excess of 75 linear pounds. No hard wiring required. For use with most fishing boats, auxiliary engines, commercial vessels, recreational boats, and smaller sporting boats. Do you own the PSI-MV-12V? Please, tell us what you think about it. It helps us provide you with better products. Please note that it may take up to 72 hours for your review to appear.